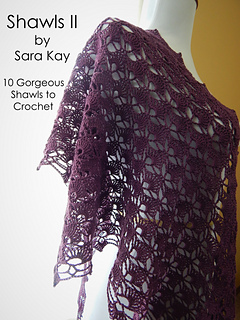 Shawls II by Sara Kay is a 10-piece ebook collection (PDF) of Sara Kay Hartmann’s signature style of exquisite crochet lace shawl designs published between 2017-2018. 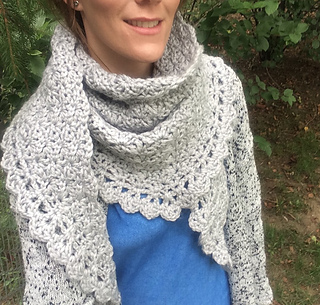 Buy the ebook to get over 70% off the individual pattern price! 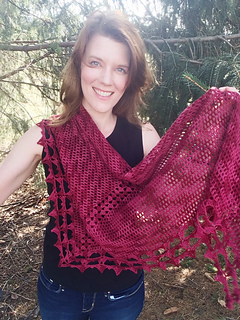 This lovely collection of triangle shawls offers you a variety of lace experience with designs worked from the top-down, bottom-up, and sideways. Each pattern provides full written instructions in English using US crochet terminology along with universal crochet charts. 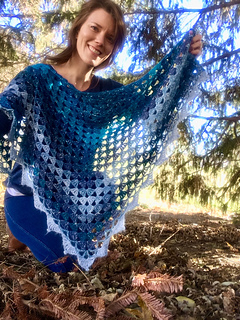 As a collection, these patterns will carry you through all seasons and are now available at a HUGE discount of over 70% off the individual pattern price!